This extensive and original Scottish research has highlighted some important features of Cryptosporidium parvum infections in calves. Some of the results may or may not have direct relevance to New Zealand farming conditions. In some instances they may be so relevant that they will challenge some of our current practices. Without some local (NZ) studies it is too early to make recommendations. 1.Only one cow was shedding the genotype that produced cryptosporidial scours for the calf shed. That cow calved early, and its calf developed cryptosporidial scours. These scours was apparently sufficient to spread the oocysts from that point on. 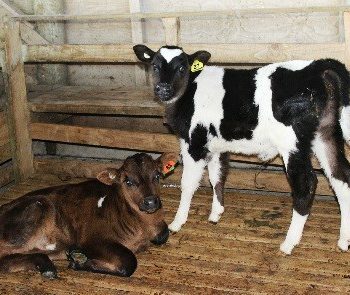 While multiple genotypic strains were recorded on the farm over the period of study, it was the only strain that emerged to be significant in the calf rearing environment. 2.The PhD research included the development of research study techniques that isolated Cryptosporidium parvum from cow dung, based on separation, concentration, identification and genotypic typing of the strains present. It confirms studies (Faubert & Litvinsky 2000) which suggest it is overwintering in cows and excreted by some cows prior to calving being the potential source of infection in a calf shed. 3.No conclusions can be made of the shed being a source of infection between seasons. 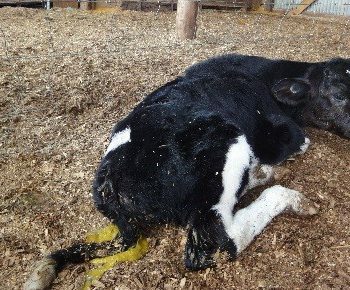 Within the season, the shed and farmer practices remain an important source for spread of infection between calves once the first calf has had cryptosporidial scours. 4.The infective dose is an important element in determining the time to the first signs on infection, with higher infective doses showing earlier and more severe signs. (Tzipori 1983 also found this relationship). 5.Strain (genotypic) variations exist which differ in severity of clinical signs. It is likely that strains producing more severe signs are contaminating the environment more successfully and ensuring their dominance as the ‘on-farm’ endemic type. Aspects of cow management around calving time with respect to cows being one of the origins of calf infections have been made in the past (McGuirk 2004), & (Faubert & Litvinsky 2000). This recent research by Thomson has a higher degree of credibility and importance with the evidence provided from genotypic subtyping. Tzipori’s group in 1983, showed artificial infections gave some indication that higher numbers of infective oocysts were showing earlier signs of infection (but possibly of different ‘strains’). Does this mean that the cow excretion is important to set up the season? And when that ‘infected’ cow infects its calf it doesn’t matter how clean the shed is, the between calf infections start from that point? It may be that the cow/calf initiator excretion occurs early or relatively late in the season. From that point on, the shed gets overwhelmed. The ‘bad season’ for crypto scours scenario may reflect the overwintering management of cows and the number of cows which are infecting their calves. The prevalence of the more severe genotypic substrains is not currently known. Therefore it is still difficult to provide management advice to reduce the risk of crypto scours in the early part of the calf rearing season.